happy black friday, happy belated turkey day, well hello there. 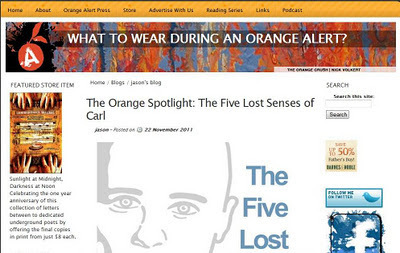 sending goodness and thanks to jason behrends of Orange Alert for shining the spotlight on The Five Lost Senses of Carl this week. Check it HERE.